There's an ever-growing number of stories in the media about the rise of obesity and related diseases in the UK - hardly anyone can be unaware of the scale of the problem. For most people, this is a serious health issue. For others, it's a marketing opportunity. Bach Remedies have not been slow to milk the cash cow. According to them, it's not what you eat, it's why you eat. 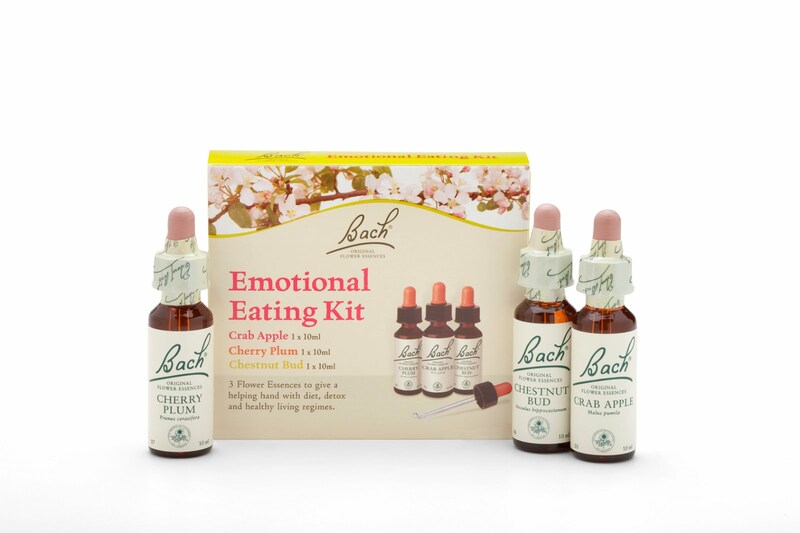 The Emotional Eating Kit contains 'three flower essences that can help with comfort eating and offer a helping hand with diet and healthy living regimes'. It is 'the first product available in the UK of its type to specifically help deal with the emotions linked to comfort eating'. Bach's remedies were invented in the 1930s by Dr Edward Bach (pronounced Batch), originally a medically-trained doctor. He was guided to choose his remedies by his psychic connection to plants, then suspended them in spring water and let sunlight pass through them. There is no part of any plant in any remedy, just its vibrations. 'Each remedy is a correcting vibration for a state of mind or emotion that needs to be gently rebalanced. Since the body is a direct reflection of the mind, transforming negative vibrations into positive good vibrations allows the body to respond naturally with better health'. In other words, it's a 'cure' based on an idea not dissimilar to a Beach Boys song. You can read more about each of the 38 remedies here along with a whole welter of New Age nonsense. 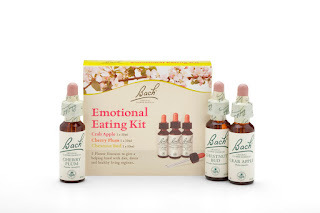 'Bach Flower Remedies can be taken by anyone, safely and without fear of side effects, overdosing or addiction. Since flower remedies work on a higher vibrational frequency they will not interfere with other forms of treatment. No harm comes from choosing the wrong remedy as it will cancel itself out if not needed'. The self-cancelling and lack of interaction with other treatments would be very useful for real medicine (and herbal medicine), but strangely, no research time and money have been given to these remarkable attributes. Bach experimented with homeopathic remedies in the early days and this claim bears more than a passing resemblance to homeopathic claims, particularly because there is no active part of the plant used, just its vibrations. In other words, they can't harm you because there's nothing in them. They can't interact with other treatments because there is nothing acting in the first place. The three remedies in the Kit are Cherry Plum, Crab Apple and Chestnut Bud. Cherry Plum 'When you fear you might lose control of your diet, Cherry Plum can help you to think and act rationally'. Chestnut Bud 'When you find yourself repeating the same dieting mistakes, Chestnut Bud helps you gain knowledge from your experience'. Crab Apple 'When you feel unclean or dislike something about yourself, Crab Apple helps you accept yourself and your imperfections'. It's a tiny therapist in a bottle! Just for good measure, the Kit also claims to help with detox, that magic word so beloved of advertisers. Sense about Science say that 'Detox has no meaning outside of the clinical treatment for drug addiction or poisoning' and there is much other evidence that 'detox' is just shorthand for 'a good way to separate people from their money'. There's no point asking how these three plant vibrations work to alter brain chemistry and the complex physical/mental interactions involved in comfort eating or 'feeling unclean' (whatever that means). There are no rational answers. Instead, ask if it really matters that people who are genuinely trying to change their eating habits are being gulled into buying them. Of course, the advertising uses the weasel words 'can help' so that if it doesn't, there's no come-back. And it won't. There's nothing wrong with occasional comfort eating. If you're doing it so often that it's a problem, then it's going to take more than a few drops of Dr Bach's magic potion to fix it. If any one diet or dieting aid worked, then we would only need to use it once. The diet industry would be tiny, not a multi-billion pound industry. Losing weight and keeping it off is hard. If it were easy, we'd all be skinny. It involves commitment to life-style changes, possibly with professional help. There is no quick fix. Contributing factors to being overweight include lack of exercise, the easy availability of food, constant junk food advertising and the high levels of fat and sugar in many foods, even some we think are healthy. High fructose corn syrup is in most junk foods; it has an effect on the brain that make us crave them without ever feeling full. Comfort foods are comforting/rewarding because these were the foods that were in short supply when we were hunter-gatherers. If you craved them and felt good after eating them, you'd put more effort into finding them and be more likely to survive to pass on your comfort-eating genes. In other words, an evolved survival strategy has come back to bite us because our bodies haven't evolved as fast as our societies. And that's before we even address the complex psychological reasons for overeating. If the Kit works, does it matter how it works? A systematic review published in 2010 by Professor Edzard Ernst concluded: 'All placebo-controlled trials failed to demonstrate efficacy. It is concluded that the most reliable clinical trials do not show any differences between flower remedies and placebos'. If you use one alternative product, there's a good chance you will use others too. You're not just buying a product, you're buying a whole way of thinking based on magic and faith. Something that works by placebo, if at all, is a kind of gateway drug to heavier dependency and self-diagnosis of possibly serious conditions. You're more likely to ignore evidence and rely on anecdote (my gran's neighbour took it and felt lots better) not just in this area but in others too. And that's if it works. Remember the get-out clause 'may help'? A couple of weeks ago, a full-page advert for the Kit appeared in the Saturday Guardian magazine because the prime market for all things 'alternative' is middle class women. But who knows, you may be the one person in the history of the universe who proves the entire body of scientific knowledge wrong. If you are the miraculous exception, you may well find yourself stuck full of probes, every bodily fluid and tissue dissected, analysed and written up in scientific journals. Bits of you will end up in specimen jars. A gene mutation may be named after you. Are you feeling lucky? But, in the end, it's up to you. It's your life, your body and your money.